My son has a lot of energy, so we channel that energy into sports. He is a good all rounder in every sport he has tried so far and our house is equipped with every sporting equipment imaginable for his age range. Equally, he loves to watch sports on TV much to my husbands liking. 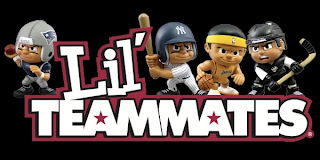 Last year we reviewed the Lil' Teammates here and we loved how he transferred his sporting knowledge into imaginative play. 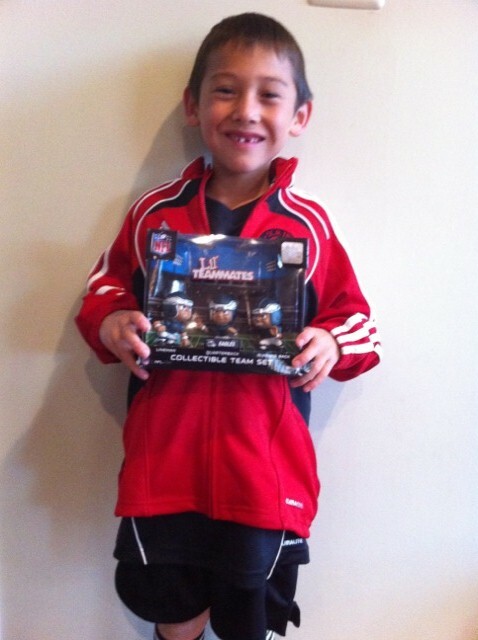 We are very fortunate to be asked to review the 2012 Lil' Teammates Collectible team sets. The Collectible Team Sets include all three positions for their NFL figures: Quarterback, Lineman and Running Back. Currently, there are 22 different NFL teams. They are the same size and have the same attitude that their single packs of Lil' Teammates do, but allow collectors to get the whole team in one package. My son was really excited to receive the Philadelphia Eagles team set. He has a Series 1 Philadelphia Eagles player and a ref so now with the 3 additional players we received for review its fun to see him set up some mock plays. The new series set have moveable and poseable arm, mid and neck sections so my son is able to set the plays up in as many ways as his little imagination can run. These are fun toys that allow a child's imagination to run - no batteries, no cheap parts and very portable. With the holidays approaching, we think the Lil' Teammates Collectible Team Sets are a great gift item. Lil' Teammates has kindly offered two (2) Freebie Junkie readers the opportunity to win a Lil' Teammate Collectible Set of their choice. 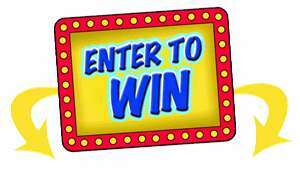 Giveaway contest ends Wednesday November 21st at 11 pm EST - US residents only. A random winner will be chosen and notified via email. My sons would love the Dallas Cowboys. I love the GA Bulldogs ones! So cute and the kids would love them. I'm a Bears fan, but if I could only get 1 figure it would be the Ref. if I won i would get the detroit red wings hockey. My son and husband would think I was AWESOME! Looks like a great gift for the boys! I would like the steelers! I would choose the Buffalo Bills or the Sabres Hockey! Green Bay Packers NFL Team Set Series 1 is my choice.